We transmit your credit card and address data to our merchant services provider to obtain authorization for the charges. Your credit card is billed at the time of purchase. If you placed a large order or ordered specialty items, we may give your address to our manufacturer/wholesaler for the purpose of shipping your products to you. Your address information is electronically provided to our shipping vendors (i.e., FedEx, UPS, USPS) so that they may deliver your package to you. Your information is stored on our servers so that we may retain your information for future orders. Your credit card data is automatically purged immediately after your transaction. We don't sell or share your information with anyone other than our shippers, your credit card bank, and our credit card processors. Your trust in us is important. We won't even tell your spouse you were here. Our mailing list is opt-in only. If you decide you no longer want to be included, then opting out is done automatically via a link in your email - no need to send us an email and then wait to be removed. We do not sell or give your customer information to any other companies or entities - PERIOD! Shopping at WesternBootSales.com™ is very safe. In fact, we back every credit card purchase with our Western Boot Sales™ Safe Shopping Guarantee: We guarantee that every transaction you make at WesternBootSales.com™ will be safe! You will not pay for any unauthorized illegitimate charges that are made to your card as a result of shopping at WesternBootSales.com™. With our Secure Servers hosted by Hostek.com, all of your personal information including credit card number, name, and address is encrypted via Secure Socket Layer at the checkout (SSL encryption is the industry standard and among the best software available today for secure commerce transactions), so that it cannot be read as the information travels over the Internet. Your credit card information is processed via a very secure payment gateway, and it is not stored in our database. We strive at providing a safe and easy way to purchase online or offline. Our online shopping system is one of the most reliable and secure systems available in the industry today, but if you want to place your order via toll-free phone or fax, please contact our sales team and feel free to place your orders the way that makes you most comfortable. You will receive email verification at each stage of the order process, i.e. Your receipt of an electronic or other form of order confirmation does not signify our acceptance of your order, nor does it constitute confirmation of our offer to sell. Pungo Ridge, LLC / Western Boot Sales™ reserves the right at any time after receipt of your order to accept or decline your order for any reason. All orders placed by credit card are subject to address verification by our credit and fraud avoidance department, and this may delay the processing of your order. This is all done to protect you. We cannot be held responsible if your order is delayed for any of these or other reasons. If you have any questions about your order, we are glad to answer any questions you might have - feel free to email us at customerservice@westernbootsales.com or call us at (877) 721-2139 or (757) 721-2139, Monday through Friday, between 10:00 am and 6:00 pm Eastern Standard Time. When an order needs to be shipped to an address different from the billing address or when an international credit card is used, we might need to obtain your authorization. If you want us to ship your order to an address different from your billing address, we may ask you to call your credit card issuing bank and add the 'ship to' address as an "authorized alternate shipping address". Not all of the merchandise shown in our on-line store is stocked by Western Boot Sales. The majority of the items shown are shipped directly from the manufacturer. Most items are shipped the following business day after you have placed your order. However, some manufacturers take 3-5 business days to process your order prior to shipping. If you have an urgent need for an item, please use one of the express shipping options at checkout. WE CANNOT BE RESPONSIBLE FOR DELAYS IN ORDER PROCESSING OR SHIPPING! If any item is temporarily out of stock or discontinued we will contact you regarding your order. Please allow 3-5 business days to process your order, prior to shipping. If you need it fast, use one of the expedited shipping options at checkout. Orders shipped directly from our suppliers will be shipped using the manufacturer's preferred carriers. This is something that is beyond the control of Western Boot Sales and therefore we cannot be held responsible if another shipping method is selected upon checkout. All orders must provide a physical shipping address. This is due to most orders being shipped using carriers other than the United States Postal Service, which DO NOT deliver to post office boxes. UPS charges for an address correction per package. If you enter your address incorrectly when placing an order and UPS bills us for address correction costs, we will in turn charge your credit card for all associated UPS fees. If you change your mind about an order after it has already shipped from our warehouse and you would like to re-route the package(s) back to Pungo Ridge/Western Boot Sales or the vendor, the UPS charge for a delivery intercept will be charged to your credit card. We will automatically bill all associated UPS fees to your credit card or send a PayPal Money Request, if applicable. Pungo Ridge, LLC/Western Boot Sales™ is not responsible for lost or stolen packages. We highly recommend that you have your package shipped to an address where someone will be available to accept delivery. You may request a signature for delivery of your package, but there will be an additional fee charged to you for this option. Any free shipping discounts applied to the lower 48 United States only. Alaska, Hawaii, other US territories and foreign countries are not eligible for free shipping. All international orders will incur a $25.00 handling fee. Select items may be excluded. All customs fees, taxes, and duties incurred for international shipments are the responsibility of the customer. Products made with exotic skins cannot be shipped to international addresses. Steel toe boots by Smoky Mountain® do not meet european safety standards and cannot be shipped internationally. All Ariat® products are excluded from international shipping. We try to provide the best selection of products available at competitive prices. We deal with quality manufacturers and reputable brands so that you can rely on our products. The merchandise we sell is top-notch. We don't sell seconds or rejects without letting you know. Please allow 3-5 business days to process your order, prior to shipping. If you need it fast, please use one of the expedited shipping options at checkout. Your credit card may be charged at the time of purchase, not upon shipment of your order. You may cancel your order any time before the merchandise is shipped and receive a full refund. After that, it is considered a return and will be processed as such. All Custom and Special orders must be cancelled within 24 hours. 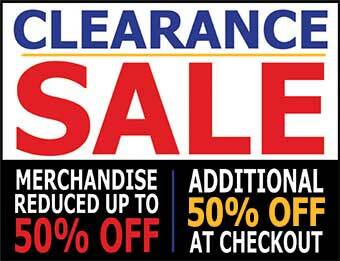 ALL SALES ARE FINAL ON CLEARANCE MERCHANDISE or CUSTOM ORDERS! No refunds or exchanges will be permitted. 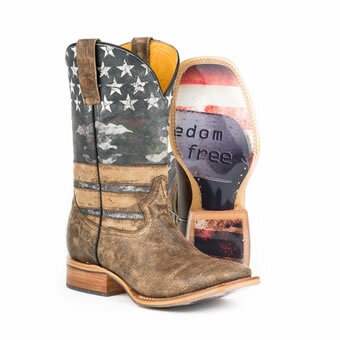 If such items are returned to Pungo Ridge, Western Boot Sales without prior authorization, customer will be responsible for return shipping charges. Merchandise that has been worn, altered or monogrammed cannot be returned for refund or exchange. Please read below about our policy for returning defective merchandise. All return merchandise being returned for a refund must be received within 60 days of the original order date. No refunds can be issued to a credit card or PayPal account after 60 days from the original transaction date; instead, a store credit will be issued. No refunds are allowed on CLEARANCE SALE or CUSTOM ORDER merchandise. This does not pertain to our regularly discounted prices off the List Price. SPECIAL ORDER merchandise being returned for refund, will incur a $15.00 restocking fee. Please make sure to include your Order ID number so that we can locate your order to issue credit. You must return the new, unused merchandise in its original condition with all tags attached in the original packaging. All returns must be in the original packaging in new, saleable condition with all documentation and promotional items. Returns received without original packaging intact will be charged a 15% restocking fee. Merchandise returned used, worn or soiled will be returned to the customer at their expense. Ship your return prepaid via using the carrier of your choice. Pungo Ridge, Western Boot Sales will not accept COD shipments. Your package should be insured and freight paid and have a tracking number issued to confirm delivery. 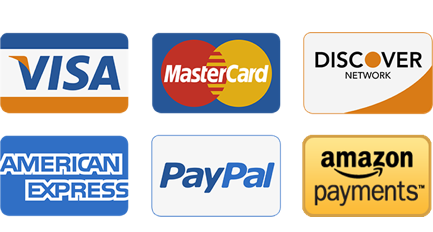 We issue all refunds to the credit card, PayPal account or original form of payment used for the transaction - NO EXCEPTIONS! No refunds can be issued after 60 days from the original order date; instead, a store credit will be issued in the form of a Gift Certificate or Loyalty Points. Please be advised that although Pungo Ridge, Western Boot Sales has processed a refund, some banking institutions can take up to 7-10 business days to post a credit to your account. For merchandise returned for an exchange, we are happy to replace your returned merchandise with the same item in another size. If you desire another item other than what you originally purchased, a store credit will be issued for you to use towards your next purchase. All return shipping charges for exchanges are the responsibility of the customer. Merchandise must not show any signs of wear or use, and all original tags must be attached and original packaging included. Allow 7-10 days after receipt of your return merchandise for your refund/exchange request to be processed. We will e-mail you with confirmation of receipt of your return merchandise. Occasionally merchandise does not wear as anticipated. If you are unsatisfied with the wear of our merchandise, please contact us to return the merchandise to us for further processing. Defective items (i.e., broken, ripped, etc...) will be exchanged for the same or similar item at no additional charge to you. All our items are warranted by the manufacturer to be free of defects in workmanship and materials. We reserve the right to return items to the manufacturer for expert inspection prior to authorizing credit. Boot manufacturers have the option to issue full credit, partial credit (prorated for wear) or repair the boots. Manufacturers do not warrant soles or heels against wear, nor do they repair, replace or give credit for boots that have been damaged due to customer neglect, abuse or misuse.